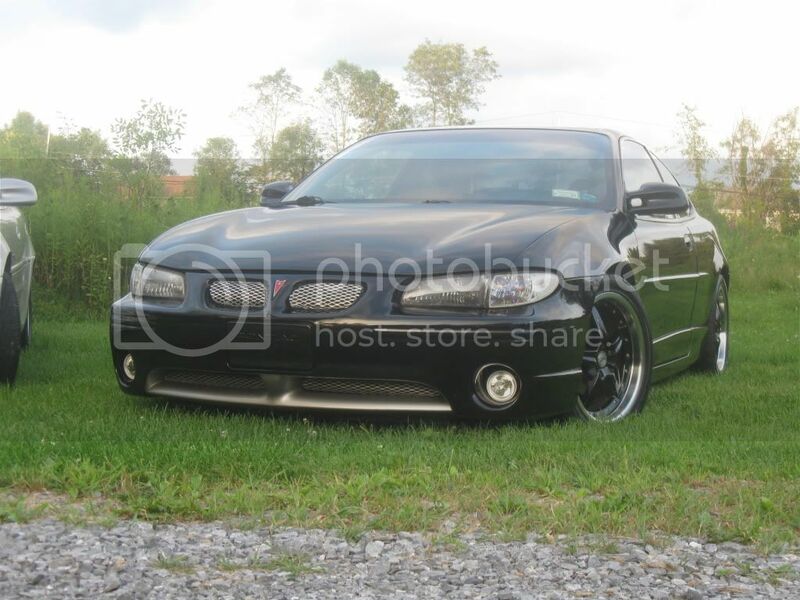 as stated, whats is a good drop kit for the 2002 wide track GTP? my brother just installed 245/40zr/18 on his car. oh wow I thought it said it is for my black brothers GTP. Dyslexic much? AGXs are the best struts outside of using the Bilsteins that came on the GXPs. Spring choice is dependant on how far you want to lower the car. im going with ssc. 1.5 in drop all around. if you need a little bit more, eibach springs are the favorite when you want to be low, but not slammed. id suggest getting new struts with that. kyb agx are the main choice, but even gr2's do well. also, next time get 245/45/18 tires. ur just making the wheel well uglier, and ur not really gaining much by running a lower profile tire. plus his speedo is a bit off. The KYB AGX struts are what you want, since they're make to be used with lowering springs, where the GR-2 is an OEM style, and running a lowering spring on them will cause premature wear and tear. Also, ditto with Adrian, you need a 45 profile with 18" wheels, no benefits from running a 40 profile, unless you're going to be stupidly low ALL the time. I have koni adjustables with eibach springs. I had to put trans and motor mount spacers in tho for the vibration.